With various spring breaks in effect, games are scarce this week, but we still have some good ones to watch, including at least four matchups that put top-10 teams head to head. Early on in the week we’ll see a Top 5 matchup with No. 2 Redondo visiting No. 4 Glendale. 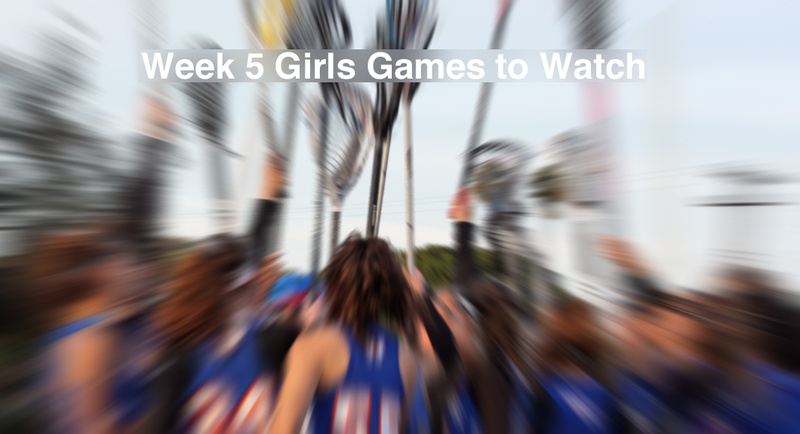 Later in the week, we get several Top 10 teams in action Wednesday, Friday, and even a Saturday morning game with No. 8 Newbury Park taking on No. 9 Agoura in the Marmonte League. Here are some of the games to put on your calendar this week: Tuesday No. 2 Redondo vs. No. 4 Glendale, 4 p.m. Wednesday No. 7 Crescenta Valley vs No. 3 Westlake, 5:30 p.m. No. 13 Oaks Christian at Valencia, 6 p.m. Friday No. 1 Palos Verdes at No. 2 Redondo Union, 4 p.m. No. 3 Westlake at No. 13 Oaks Christian, 6:30 p.m. No. 6 Chaminade at No. 7 Crescenta Valley, 4 p.m. No. 12 Cate School at No. 10 Oak Park, 6:30 p.m. Saturday No. 8 Newbury Park vs. No. 9 Agoura, 10 a.m. Westlake head coach Lyndsey Munoz has offered to share with MaxLaxLA a weekly look at the top girls games in the area in an effort to encourage fans of the women’s game — especially younger players — to attend games and watch and become inspired in person.